I can’t tell you how happy I am that Zara launched their online shopping in the US. I went to the store to see if I could find some pieces that I liked from the lookbooks but as usual I went home empty-handed. 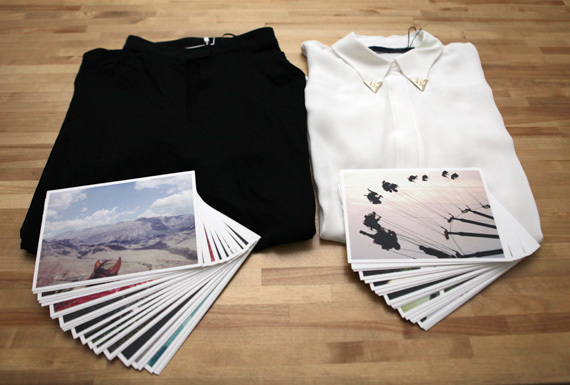 The other day I received a package from Zara, inside was the ‘Dear America’ campaign, comprising 50 photos, and inside was also a $150 gift card to shop online. I browsed Zara.com and found two amazing shirts that I didn’t even seen at the Zara Soho store. 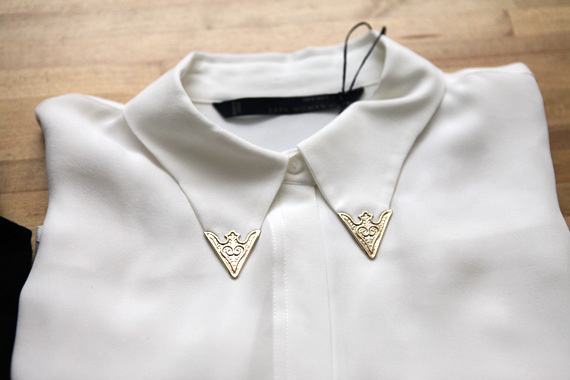 I ordered the Mao Collar Blouse and the Studio Shirt that has amazing detailed gold metal tips on the collar. Can’t wait to wear my two new shirts, love!